Earth & Sea Essential Salt is a 50/50 blend of pure solar dehydrated sea salt and pure earth salt drawn from underground mines. 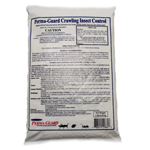 It is free of chemicals, heating additives and pollutants. Stock prefer natural mineral salt and it is more economical because it lasts longer. 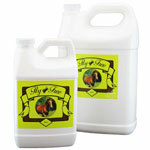 It is the best natural trace mineral salt available for cows, sheep, horses, goats, and deer. 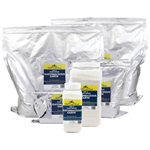 The Earth & Sea Essentials Salt blend is almost pure salt (95% sodium chloride), yet it provides livestock with many needed trace minerals such as calcium, potassium, magnesium, sulphur, copper, iodine, iron, phosphorous, manganese and zinc. This unique blend of “earth salt” and “sea salt” contains more minerals and trace elements than most white or red colored salt and the animals ingest less of it. 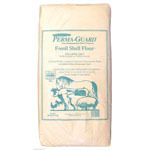 Earth & Sea Essential Salt is an excellent addition to all livestock feeding programs. 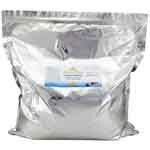 Food Grade Diatomaceous Earth 200 lbs. 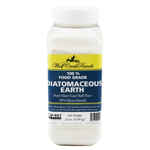 Food Grade Diatomaceous Earth - Bulk - 200 bs.